St George is a picturesque and outstanding example of the earliest colonial English urban settlement in the New World. Its associated fortifications graphically illustrate the development of English military engineering from the 17th to 20th centuries, being adapted to take account of the development of artillery over this period. Discovered in 1505 by the Spanish captain Juan Bermudéz, Bermuda was later stocked by the Spanish as a place of refuge in cases of shipwreck. The permanent settlement of St George began in August 1612 with the arrival of a governor, a clergyman, and 60 settlers, to be joined a few months later by 600 more people. A watchtower was built on Fort George Hill and the foundations of several forts were laid to guard the entrances to St George’s Harbour and Castle Harbour. The Crown assumed responsibility in 1684 for the colony, of which St George remained the capital until the mid-19th century. During this period Africans and Indians were brought to Bermuda; their descendants make up the majority of the multiracial society of today. For the next century, the economy of the island centered on the cedar tree, used for ship construction. St George was a garrison town from its earliest days, and military installations developed on the eastern side of the town. The first of many barracks were built on Barrack Hill in 1780, such as residences for senior officers, officers’ messes, hospitals, a garrison chapel, etc., followed during the course of the 19th century. These were constructed in standard British military style but using local materials. At the end of the American Revolution, Britain made St George’s Island its main naval base. Work on the dockyard began at the turn of the century, with drastic changes in the system of fortifications, with the construction of forts George, Victoria, St Catherine, Albert, and Cunningham (on Paget Island). The fortifications continued to serve until the coastal defense came to an end in 1956. The architecture of Bermuda is unique and has changed little in its basic elements since the end of the 17th century. The simple, well-proportioned houses, of one or two stories, are constructed with load-bearing masonry walls, rendered and painted in pastel colors, and roofs of stone slabs painted white. Some of the houses, such as Bridge House, the Hunter Building, or Whitehall, are impressive mansions, dating in their present form from the 19th century and embellished with imposing balconies and verandas. There are several churches, the most important of which is St Peter’s Church, the oldest Anglican Church site in continuous use in the Western Hemisphere. The Ebenezer Methodist Church of 1840 is a fine building in neoclassical style. I really enjoyed my time in Bermuda. It is a peaceful, laid-back island with a great deal of history to go along with the sun and sand. The only downside to Bermuda is the cost. Everything there is very expensive. Expect to pay at least $20 for every meal and over $200/night for a room during the high season. St. George, the area where the world heritage site is located, is in the northernmost part of the island. I’d highly recommend renting a scooter which will allow you to visit most of the fortifications and historic buildings in the span of a few hours. 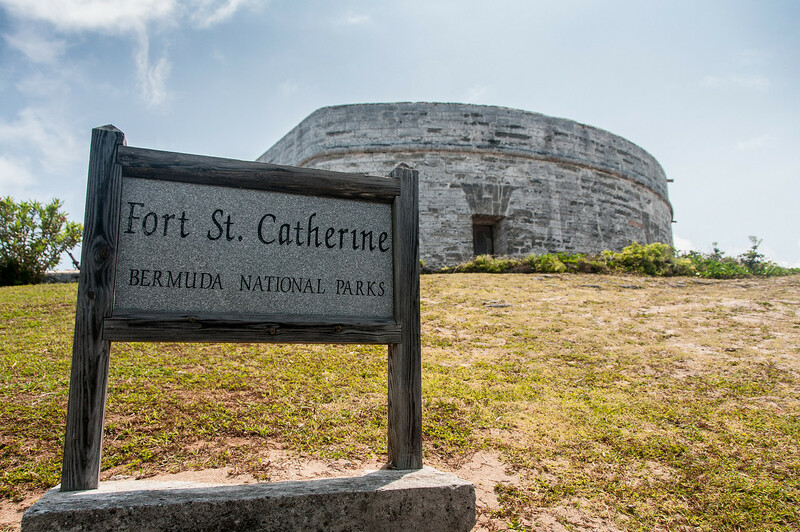 Fort St. Catherine (shown above) is also a museum which charges an admission of $7 to enter. Many of the other forts are free and you can walk around them as you will. If you are in the southern part of the island, consider taking a ferry to St. George where you can then explore the historic buildings. The Historic Town of St George and Related Fortifications is a cultural UNESCO World Heritage Site in Bermuda, which is a British territory. This property was inscribed by UNESCO in 2000 as the best example of an English colonial town. In addition, there are also several historically important monuments that are encompassed within this UNESCO site. The Town of St. George with the many fortifications sprinkled throughout the small islands that form this archipelago are recognized into this UNESCO site. 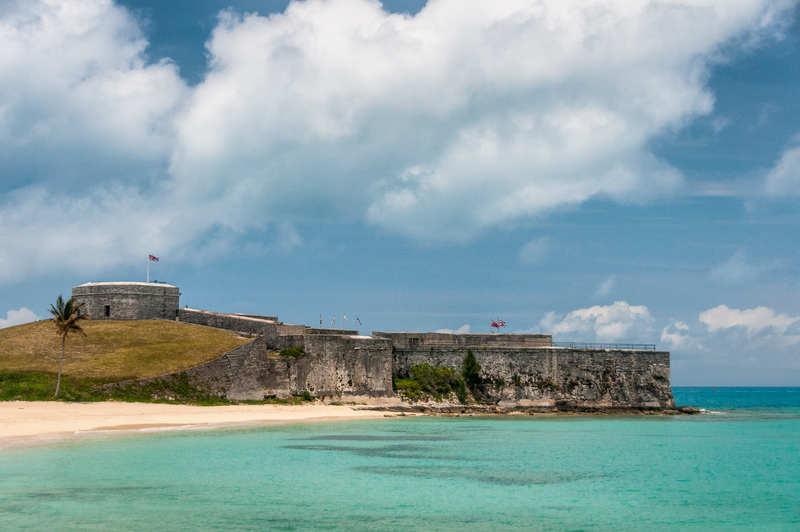 Aside from protecting the islands, the fortifications provide access to the small islands in Bermuda. 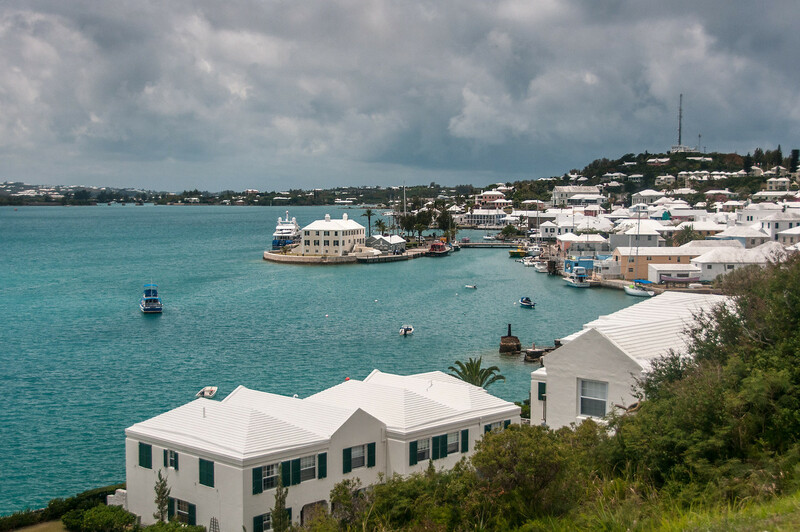 The UNESCO site Historic Town of St George and Related Fortifications is a collective site that is focused on several key areas in the town of St. George’s in Bermuda. 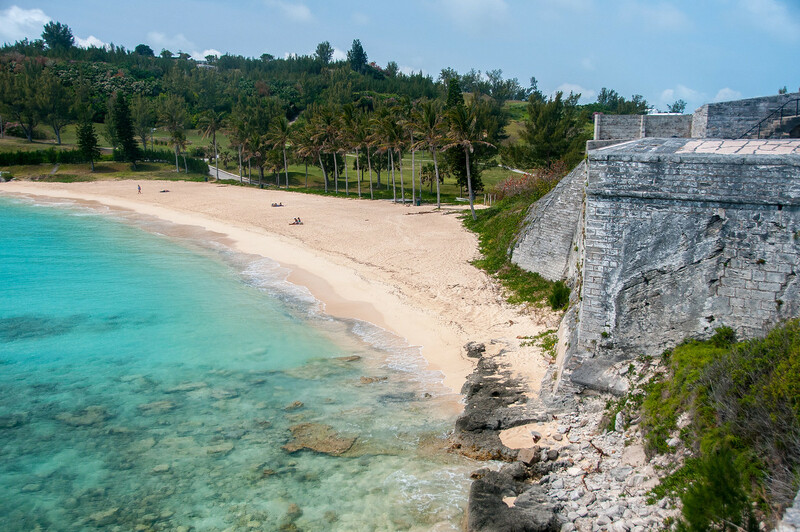 This town was founded in 1612 after the wreck of Sea Venture onto the reefs of Bermuda. Aside from this historic town, there are also several fortifications, magazines, and batteries that were constructed from 1612 to 1939. All of these military fortifications and structures were no longer in use by 1953. St. George’s is a town located in the island of Bermuda. It is the main component of the UNESCO property Historic Town of St George and Related Fortifications. It is also the oldest surviving English town. It was formerly known as New London when it was founded and even named a capital of Bermuda in 1815. There are several historic buildings and structures in St. George’s Town, which includes St. Peter’s Church, the State House, Tucker House, Mitchell House, Stuart Lodge, Carriage House, and the Old Rectory, to name a few. Since St. George’s was settled in 1612, the construction of the garrison, fortifications, and colony’s militia was started. These fortifications were mostly built along the entrances to the Castle Harbour and St. George’s Harbour. This was designed that way in order to control entry into the town. 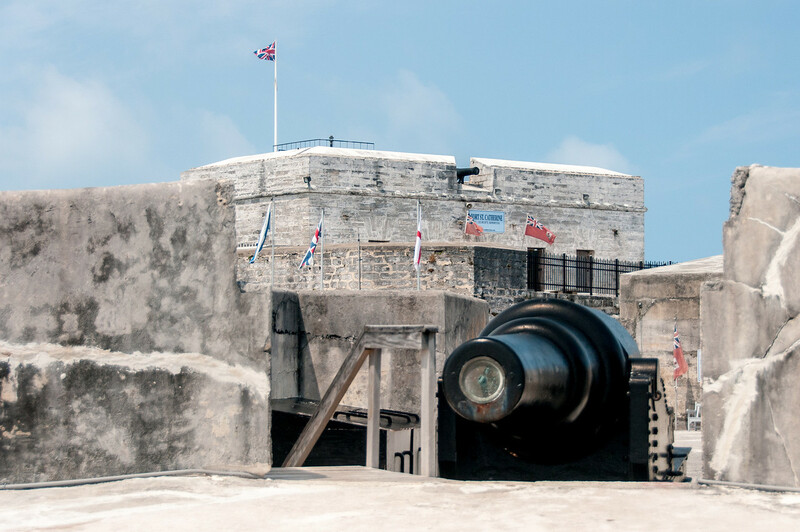 The fortifications that were built on the several small islands in Bermuda are known simply as the Castle Islands Fortifications. View my complete list of UNESCO World Heritage Sites in Bermuda. There are apartments to rent in St. Georges and guest houses that are not that expensive and all in all it is no more expensive than going to Europe. 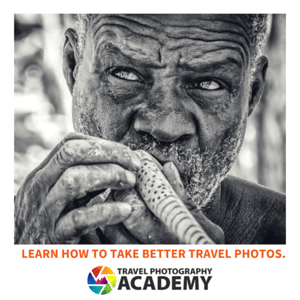 Considering the cheap airfare, if booked in advance, it is absolutely doable.